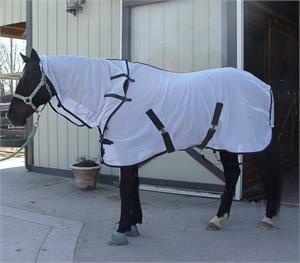 Turnout anti-fly sheet with detachable neck cover. 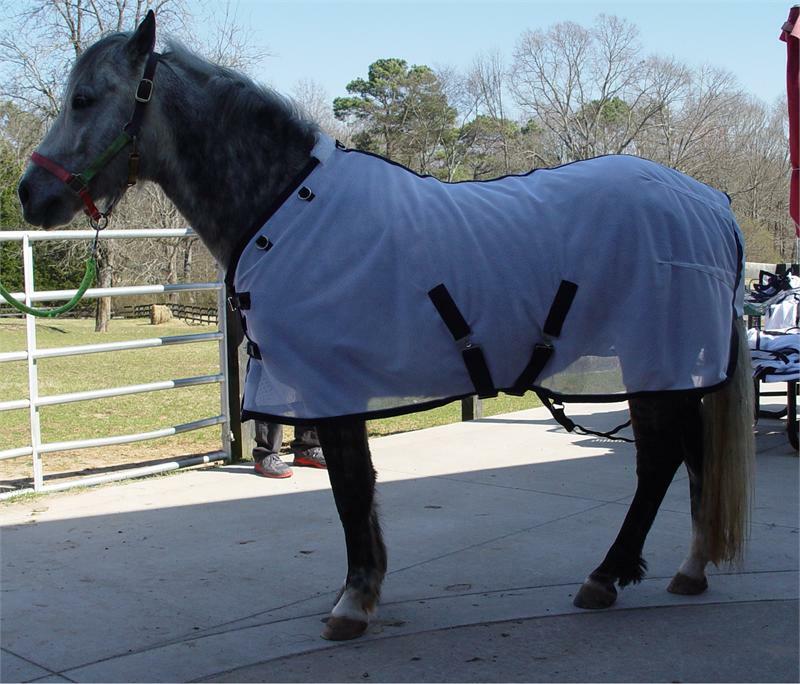 Strong and soft, inter-lock mesh provides extra protection to horse from insects and UV bleaching. 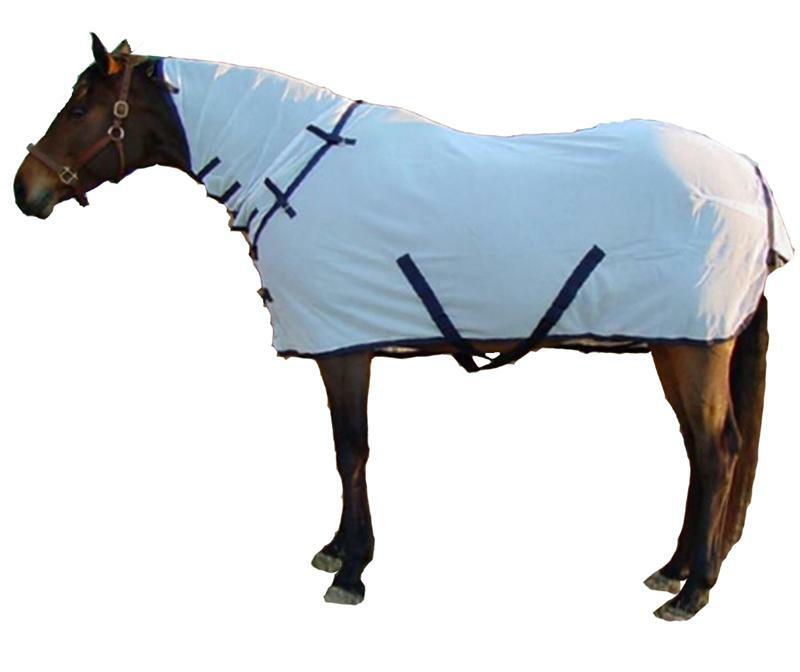 sized from 66' up to 86" 2" increment. Front enclosures, cross surcingles and elastic leg straps, plus a tail cover.